Not all bike rentals are the same. In fact, most of them are not good quality. CCC breaks this trend by treating every rental bike like our own personal ride. All of the bikes are high quality. They are regularly tuned up and any sign of wear is immediately replaced. A water bottle holder, flat kit and allen wrench are standard equipment included with our bikes. Depending on availability we can also provide you with Shimano SPD®, Shimano SPD-R® or Look Keo Pedals®. Available bikes for men, Allez Comp Apex size 54 or 61. 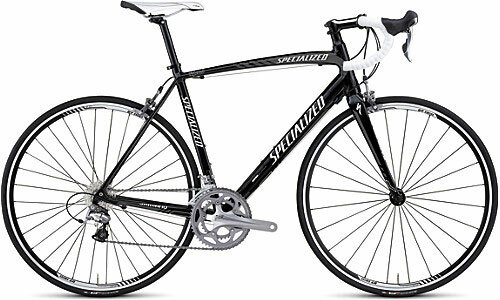 Available bikes for women, Dolce Eilte Apex size 51 or 57, Dolce Tiagra size 48. 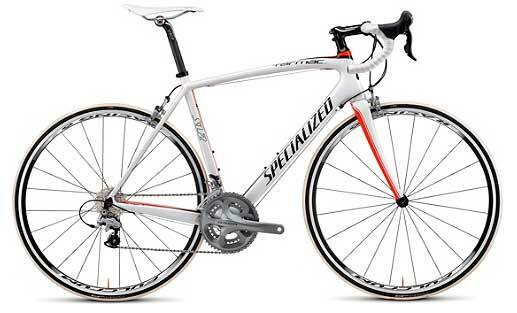 Available bikes for men, Allez Comp 105 size 56 or 58. Available bikes for women, Dolce Comp 105 size 54. 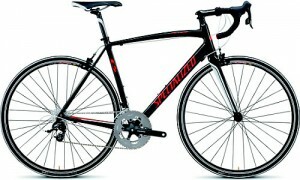 Available bikes for men, Tarmac Comp Carbon Ultegra size 56 or 58. Available bikes for women, Ruby Carbon Apex, size 54. A full, non-refundable payment is required up front. This payment is transferable to any CCC product if necessary. You will be required to sign a waiver of liability upon delivery of the rental bike. We require a valid drivers license for rentals.